Out with the old and in with the new. As hard as it is to believe, in a few days we will be living in a brand new year - the year 2015. As year new year starts Brenda and I set goals we would like to fulfill. Most years we manage to scratch off two or three items that have been successfully fulfilled. How? Obviously we make a list. 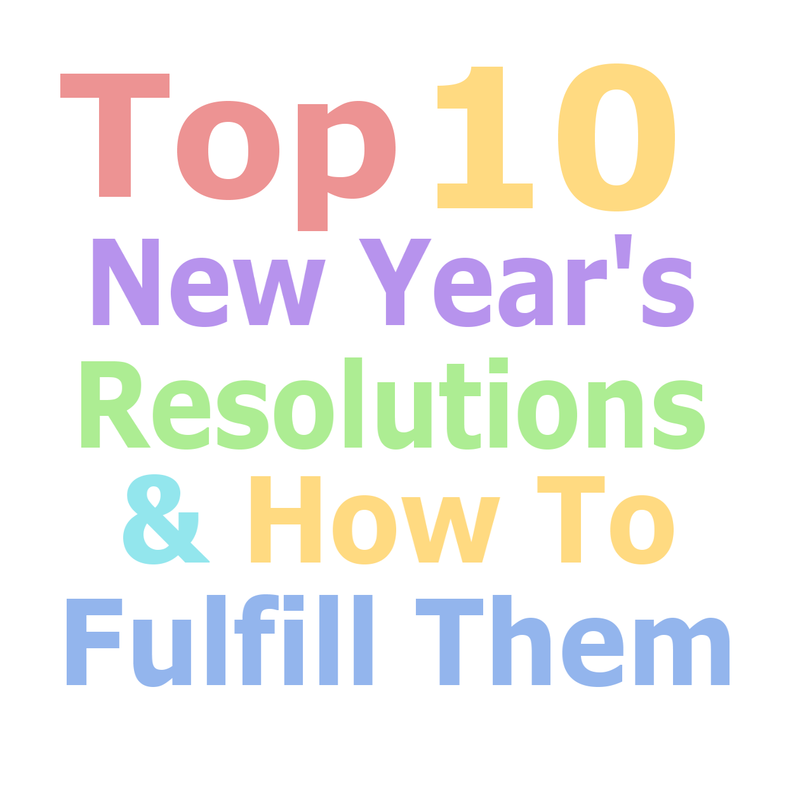 A list of resolutions we can actually fulfill with the resources we have at hand. Next we consider the steps involved in progressively bringing our resolution to reality. In other words we consider each step a goal in itself. That said, when making any new year's resolution consider setting several small goals as building blocks that when completed fulfill the bigger goal, your new year's resolution. And don't worry if it takes a a little more that a year to fulfill them. The objective is simply to get started and progressively reach your realistic resolve. Here are the Top 10 realistic new year's resolutions that are not out of reach. 3. 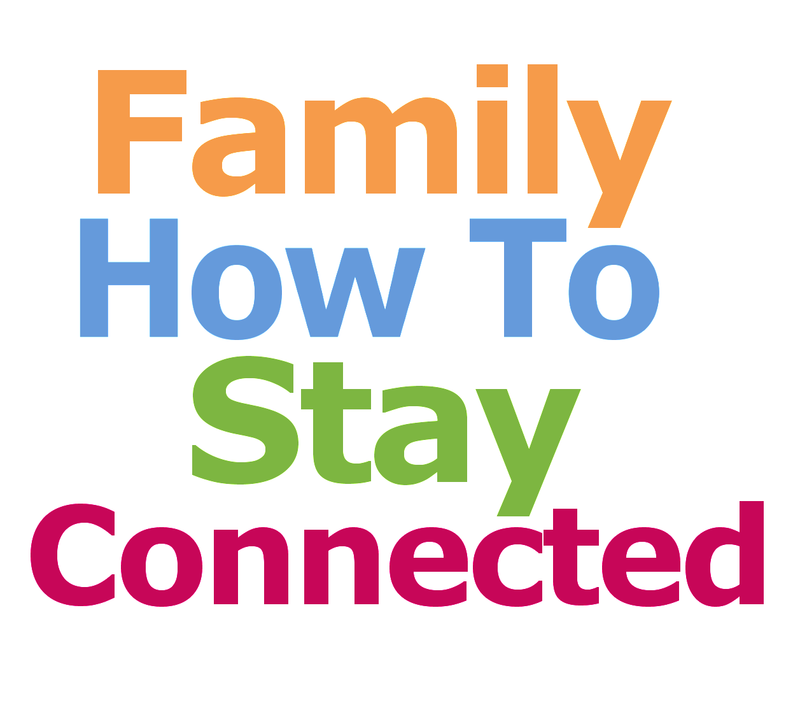 Plan a fun summertime family reunion - Get the app. Follow one step each week of 2015. 5. Learn to speak another language - Get the app - Play it on the way to work. 6. Plant a garden with the kids - Get the app - buy a shovel - get a hoe - buy seeds - buy plants. 7. Have a yard sale - Get the app - Set a date - Make a sign -Find a big box - Throw in stuff to sell. 8. Spend more quality time with my kids - Plan it out - Say no to more work - Throw yourself into it. 9. Start dating my wife - Plan weekly date activities (Some at home, some outdoors as well as dinner restaurants and theaters) for the next two months. 10. Eat organic - Stop at the organic market. Grow organic foods. Make your own pasta, etc. How can we set realistic goals that will progressively fulfill the resolution over time? Let's start with item 1. Lose 10 pounds by Spring. That's 11 weeks. Set progressive goals to lose a pound a week. How? 3. Walking briskly each day. Dance to a whole song each night. 4. Avoid foods that contribute to weight gain. 5. Reward yourself for each pound lost with a broach, scarf or whatever you like. Using this method will not only bring your new year's resolutions to reality. You will have learned to keys to planning for the future while developing the self-discipline to reach goals that will reward you exponentially for years to come. Want to plan a summertime family reunion? First goal. Get the book or web app. Just follow the link in the Profile on this page. While I don't like change, I do like learning new things, winning people over, and the rewards of a job well done. That said I am willing to try new things, taking a fresh look at life and see life from a different perspective if it means getting better results for all involved. I find that discovering new lands, people, culture, foods and exotic species adds zest to life. Lately I've been learning many new things about life, history and the human condition while researching, producing and directing a new film presentation for my upcoming family night gathering. No this is not just any weekly family night. This one actually includes several different families all under one roof sharing an evening meal and video entertainment together. Why so many families? As Brenda and I travel the Maryland circuit teaching and being taught, we develop meaningful relationships that last. Our way of keeping in touch is by having family night gathering once every few years. These events encourage mutual support and provide an exchange of guidance and wisdom needed during these challenging time. Our prime objective is to inspire strong family ties, teach kindness and consideration and preserve family and community cohesion. How can we do all that in one night? After presenting our first film feature we have an open forum. We discuss what we saw, how we felt about it and lessons taught. We ask the right questions to stimulate thought and emphasize comments of practical value. Successfully building a happy family begins with attitude. An attitude that is contagious. An attitude that inspires. That says I Am In This To Win It. 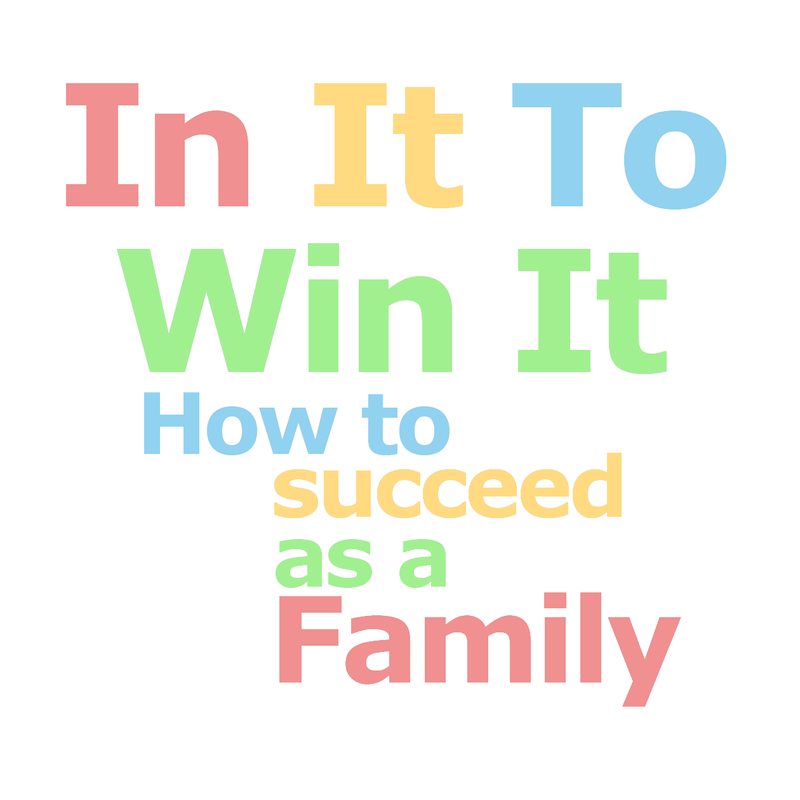 To aim at being successful as a husband, father, wife and mother. To win the rewards of deliberately sharing mutual filial and loyal love. To win it requires a trustworthy proven training system, regimen and priority mind set. A life guide, if you will - Personally I find the books of Genesis, Exodus and Proverbs provides the ideal lesson plan that lays the ground work for building a close knit loyal family that stands the test of time. Learn and maintain humility - It's a constant process that never ends. If you think you're humble you're probably not. Live a simple life. Only then will you discover who your family members really are. Avoid getting caught up in corporate politics and competition, it will only distract you from what really matters - Loving your family from the inside out. Remain united no matter what or who tries to pull you apart. Value practical experiences - Reject fantasy and folly. Looking for some family fun winter vacation activities everyone's bound to enjoy? Something else new. Starting January 2015 I will include in each post an excerpt from our book Fimark's Family Reunion Planner Keepsake, my reunion event planning eBook, which is also part of Fimark's Family Reunion Planner Social Web App. Want to do something special this season? Many are considering how to give back to the community. Often they consider donating to a worthy cause. 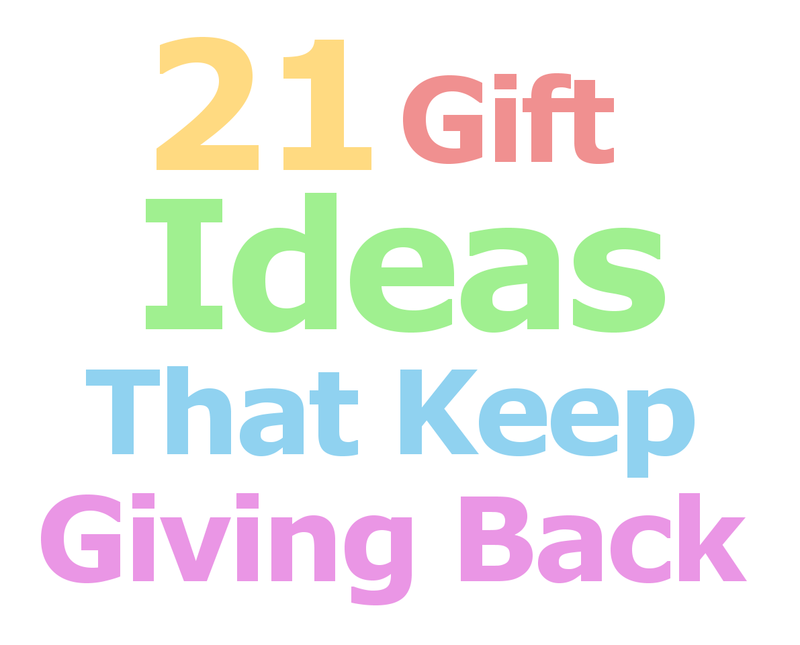 Here are 21 gift giving ideas that keep giving back. Check the items you've considered, share it with someone you know has experience participating or planning such an event. Take action! Get the ball rolling and discover a 2000 year old truth. "There is more happiness in giving then in receiving." My Gift to you. Brenda and I are active in Group Bible Study, Door to Door Bible Study, Motivational Public Speaking, Fall and Winter Fest Activities, Online Fund Raising, Crafts for Gift Giving, Bible Travel Tours and Creation Sight Seeing, Bible Drama Movie Events. If you would like to support our work feel free to send us a modest donation. They say the best laid plans do not always work out. Why? Experts say timing can be a contributor to a plans success or failure. Often because these plans require several hands on deck, getting full support is often the key to getting any idea off the ground, up and running. So you talked to your family over dinner this past November and presented your ideas for the next family reunion. They liked what they heard and you've heard nothing more from them about it sense. Not to worry. That's typical. Likely they're both preoccupied with the everyday task of survival or they're just waiting to hear what your next move will be. So what is the next move? Now would be the time to have a handy family reunion planning guide to lay out the course. Why an event guide? These guides often are written based on an experienced reunion planners tried and proven event planning strategy. A strategy that will get everyone inspired and motivated to pitch in and get the reunion event planning wheels turning full speed ahead. That said, enter Fimark's Family Reunion Planner Social web app. This app presents a step by step method of planning your reunion event and via it's ebook feature it outlines how to get all in the family involved. Best of all you don't have to download it and install it to your device or PC. Just go to the URL and sign-in. Next follow the steps one by one and you'll have your reunion plans up and running in no time.